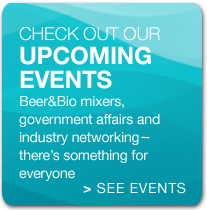 Arizona’s statewide life science and healthcare industry association unveils plans for 2019 and announces new grant funding to accelerate the process. As AZBio completes is 15th year as Arizona’s statewide life science and healthcare industry association, we have a lot to be thankful for. 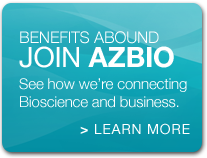 AZBio’s membership includes the state’s leading research institutes, universities, hospital systems, business organizations, cities, towns, and health innovation companies ranging from entrepreneurial ventures to global leaders. 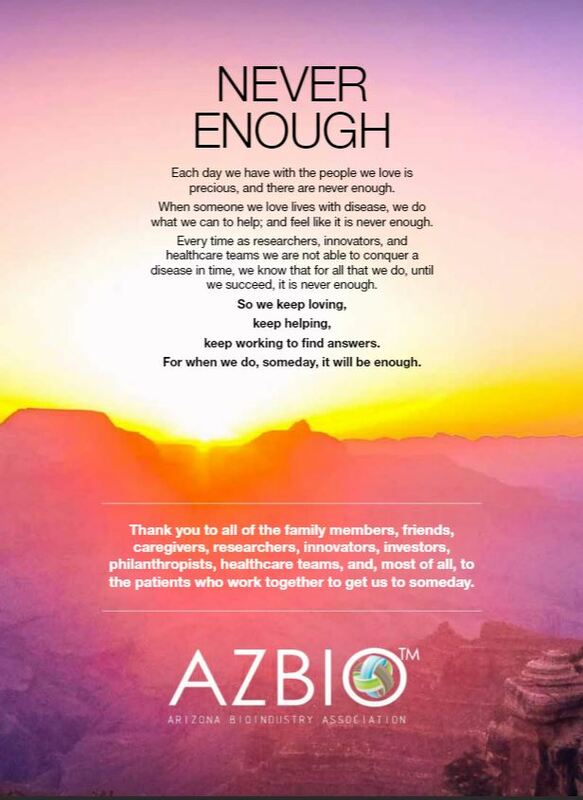 AZBio’s partnerships with patient advocacy organizations help keep us focused on our industry’s essential mission to make LIFE better for people in Arizona and around the world. 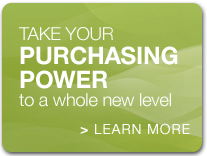 AZBio is growing and so is Arizona’s bioindustry. At AZBio’s annual Trailblazers luncheon, we shared more than just our plans for 2019. We focused on why it is essential that we accept the challenge to accelerate life science innovation here in Arizona. In the coming years, if we do not accelerate health innovation, we face an escalating healthcare cost curve that will have severe ramifications for our state, our nation, and our world. Total U.S. healthcare spending in 2016, as reported by the Congressional Budget Office (CBO), was $3.2 trillion. This includes $1.5 T (47%) in Public Spending and $1.7 T (53%) in Private Spending and these numbers will continue to rise. More of us are living longer and, as we age, staying healthy costs more. According to Census estimates, by 2031 the youngest Baby Boomers will have reached age 67, Americans age 65 and older are projected to number 75 million or 19% of the 2030 population. Thanks to advances in medical technology, we are living longer. Diseases that once killed us can now be managed and in some cases cured. But, these blessing come at at cost. 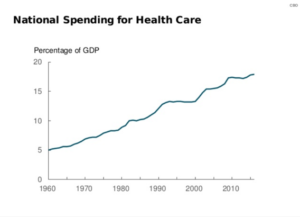 If we look at the challenge of the healthcare cost curve as cause and effect, the cause is the growth of the aging population and the effect is the growth in healthcare costs. The escalating cost curve creates a monumental challenge for the world, our nation, our state, for tax payers, and for patients. This is the challenge. Once we accept the challenge, we can take steps to meet it. These facts are no one’s fault. It is easy to look at the system and point fingers at the costs generated by individual components like the medical technology industries, the hospitals, the doctors, the pharmacy benefit managers (PBMs) and the insurance companies. Yet, none of these stakeholders are truly at fault. They are simply part of the effect that is driven by the cause And, every time we make a change in part of the system, it can have unintended consequences in another part of the system that counters the desired effect. We have the opportunity to create positive change but it works best when we do it TOGETHER. It begins by promoting healthy behaviors from childhood, through adulthood and into our senior years. This includes avoiding harmful habits and ensuring we take advantage of the every opportunity to prevent disease including diet, exercise, getting enough sleep, keeping our vaccinations and up to date, regularly seeing our health professionals, and following their guidance. The old maxim “an ounce of prevention is worth a pound of cure” is more true today than ever. Even when we do everything right, things can still go wrong. New screening tests and diagnostics are allowing our healthcare teams catch and treat diseases earlier when we often have better outcomes and much lower costs of treatment as compared to identifying a problem when the disease has progressed. Today’s health professionals have more resources than ever to help us when age or disease threatens our health. As we learn more about both the human genome and individual diseases, the guidance of our medical professionals becomes even more important. Ensuring that patients have access to the treatments their doctors prescribe without struggling through artificial barriers like step-therapy or prior authorizations that can delay needed treatment is our best defense against the need for more costly hospitalizations. To bend the healthcare cost curve we must focus on the complete healthcare continuum and not individual sectors. As communities, industries and governments we must address challenges in a systematic and holistic manner. Actions that are not holistic have consequences. Here are two examples. The Medical Device Tax a component of the Affordable Care Act was designed as a Pay-For for other costs in the legislation. The actual result was a reduction in hiring (jobs) and increased costs in the system. Based on the real impact, the tax was suspended in 2016 for two years and then suspended again in 2018 for an additional two years. The medical device excise tax is has proven to be bad health policy and bad economic policy. Congress is now considering including a 5-year extension of the moratorium on the tax in its 2018 tax extenders package. Medicare Part B sometimes called the Medicare medical benefit and covers a wide range of health care services. Medicare Part B covers physician office visits, outpatient care, ambulance services and medical equipment. Part B also covers medications administered by a physician. These medicines are needed to care for people with conditions, including cancer, rheumatoid arthritis, autoimmune conditions, and others. On April 1, 2013, a 2% cut was implemented to Part B drug reimbursement as part of the Sequester. However, the sequester is taken off the top of the 80% paid by Medicare, bringing a drop in the ASP from 6% to 4.3% and a 28.4% drop in reimbursement under Part. A lawsuit, filed May 30, 2018 in the U.S. District Court for the District of Columbia by the Community Oncology Alliance, alleges the federal government acted illegally and violated the Constitution when it applied the sequestration to Part B drugs. It also claims the sequester cut has caused harm to patients, contributed to the closure or consolidation of independent community oncology practices, and resulted in billions in avoidable healthcare expense for seniors and taxpayers. In October 2018, the Centers for Medicare & Medicaid Services (CMS) opened a proposal for public comment on a new pilot program to apply even deeper cuts to physician reimbursement and is proposing to impose price controls on life saving medications that run the risk of reducing private investment at a time when we need more investment in health innovation that ever before. The unintended consequences of the proposal, if implemented by CMS, are likely to be severe. Government actions are not the only actions that can bring unintended consequences. Within the health continuum itself, the finger pointing needs to stop. Strategies that pit one sector against the other are not working. The time has come to get all stakeholders together around the table to accept the challenge and address it. When viewing a global challenge, it is easy to look at it as something that we can not change at the local level. However, in the case of this global challenge, there are actions we can take that will make an impact. Buffering the impact of the expected rise in healthcare costs requires a multi-pronged approach which includes investing in the innovation that can reduce overall healthcare costs and growing our tax-base by building, attracting, and growing our life science sector here in Arizona. Arizona, like many states, invests in programs that encourage and support innovation including the Angel Investor Tax Credit and the R&D Tax Credit. These essential programs are primary tools in a tool kit our economic developers and companies use to grow the companies that create the jobs across all industry sectors. The Technology Research Initiative Fund (TRIF) is unique to Arizona. Since its inception in 2001 under Prop. 301, TRIF has raised over $1 billion to be used for research in health and the biosciences and other science fields, tech transfer, and workforce development at Arizona’s public universities. Community investments have helped to grow our private research base at world-class institutes including the Banner Alzheimer’s, Institute, Barrow Neurological Institute, Critical Path Institute, HonorHealth Research Institute, Translational Genomic Research Institute (TGen), and more. The top line numbers for healthcare spending are significant and every stakeholder across the healthcare continuum is aware that we must do a better job of reducing the total cost. Yet, we often lose sight of the other way we can effectively change the percentage of available dollars that we spend on health. We can grow our economy and with it the tax base we use to pay for healthcare. To achieve the six points above, we must continue to support the key programs we have in place today and up our game to address the areas where we have gaps. For Arizona, one of these key gaps is in the area of early-stage life science investment capital. This is the essential funding needed as companies turn discoveries into products/services and hire the talent needed to get the job done. Savvy investors tell us that companies with strong products and great teams get funded. And, they will. But, if the the funding they need to build the products and hire the teams is not here, it is likely that eventually the successful companies will not be here either. To bridge this gap, AZBio is taking action. The Healthcare Impact Foundation – Arizona (AZ-HCIF) is designed as an evergreen endowment that, when capitalized, will provided a steady stream of life science investment for Arizona-based, early-stage life science companies every year. In December of 2018, AZBio was the recipient of a $299,750 EDA Seed Fund Support Grant to support the process of raising the endowment. The capital campaigns are underway with a goal of raising $200 million for the endowment and $50 million for a direct impact fund in 2019. AZBio will continue working with our elected leaders at every level to provide the information they need to make good policy decisions that benefit the people of Arizona and our nation. 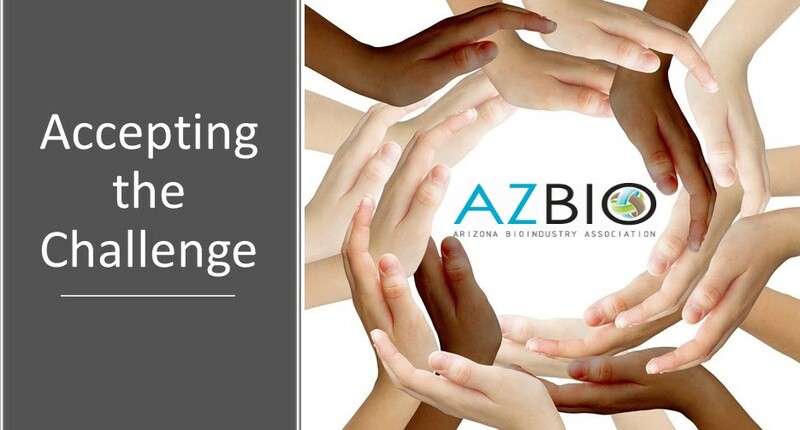 To view the AZBio Public Policy Initiatives for 2019, click here. An example of one of these public policy initiatives is a new program to provide paid STEM Internships for Arizona students in our high schools, community colleges, and universities. Modeled after successful programs in other states, these internships will help prepare our students for the jobs our life science companies will create. As we drive to achieve our goals, as an organization and as individual companies we will never forget our primary mission – to make LIFE better. The challenge is real but so are the opportunities.